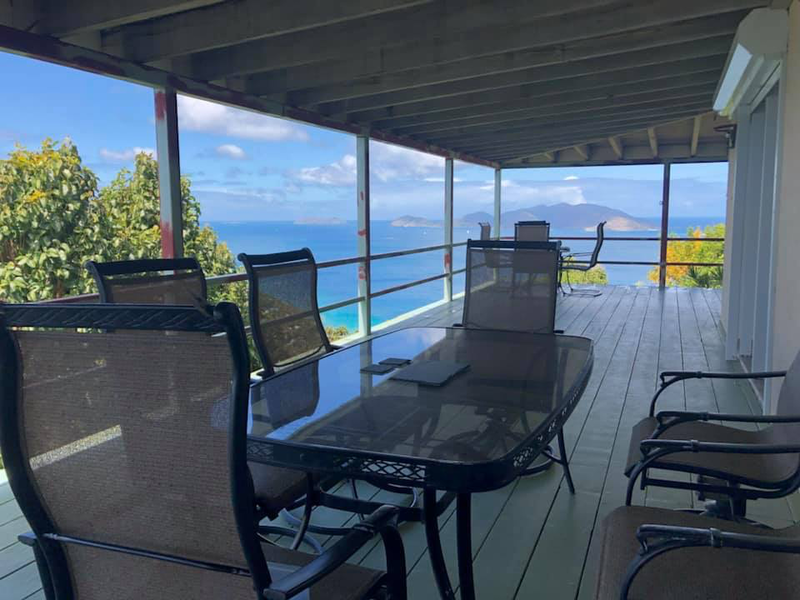 Hummingbird Haven is a four bedroom four bathroom residence that is beautifully surrounded by a lush,tropical landscaping on the top of Romney Park. 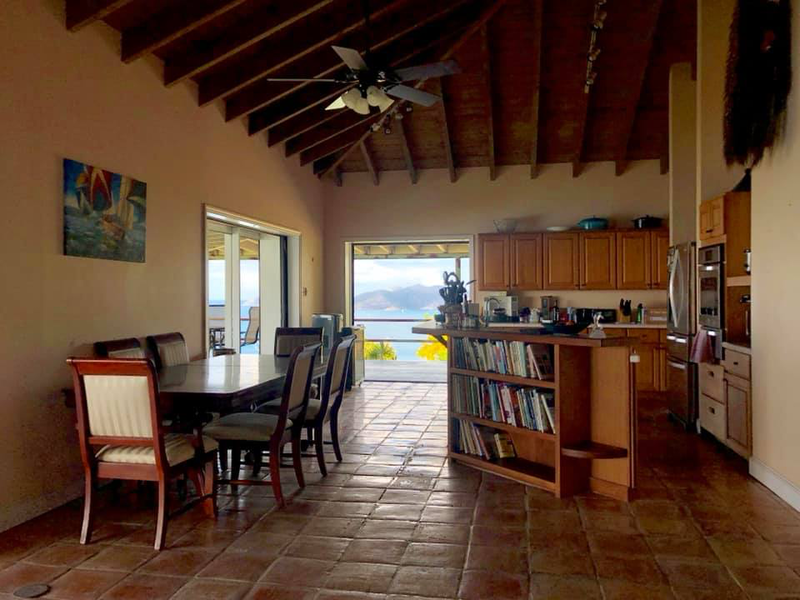 It offers a 270’ sea view,which captures numerous cays and islands around the BVI. 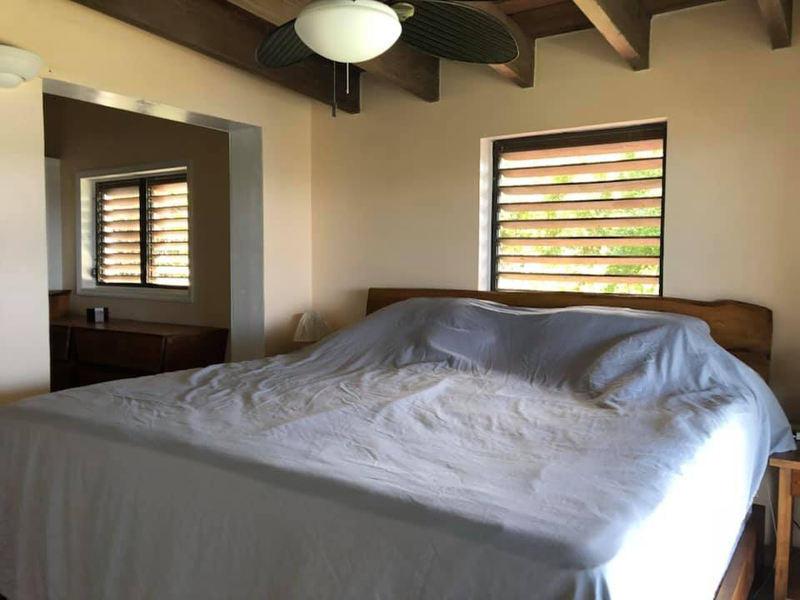 This standalone house can be utilized either as two units- a one bedroom upstairs and a three bedroom downstairs or a four bedroom family house. 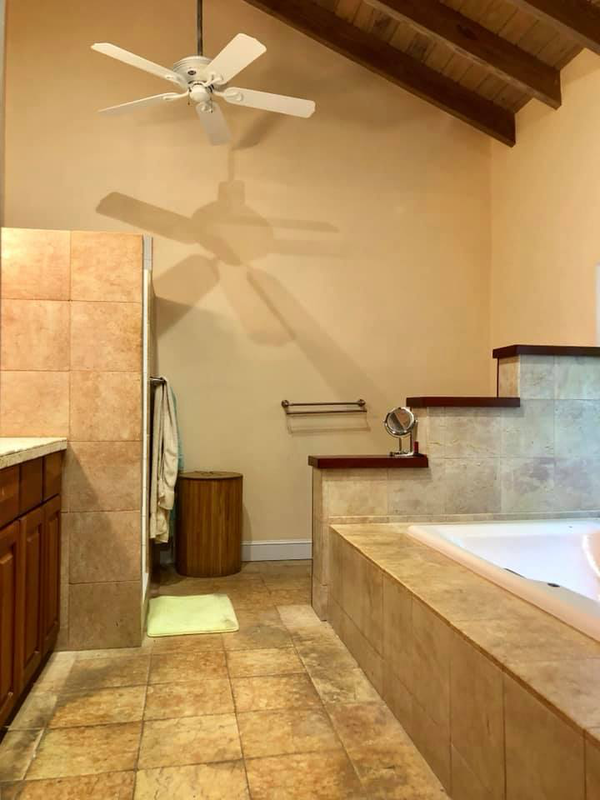 The master suite encompasses the entire second floor with a modern bathrooms that comes with both shower and tub, his and her closets, and a side study space.The great room consist of an open plan kitchen and a living and dining area that can be fully opened up to the large deck. 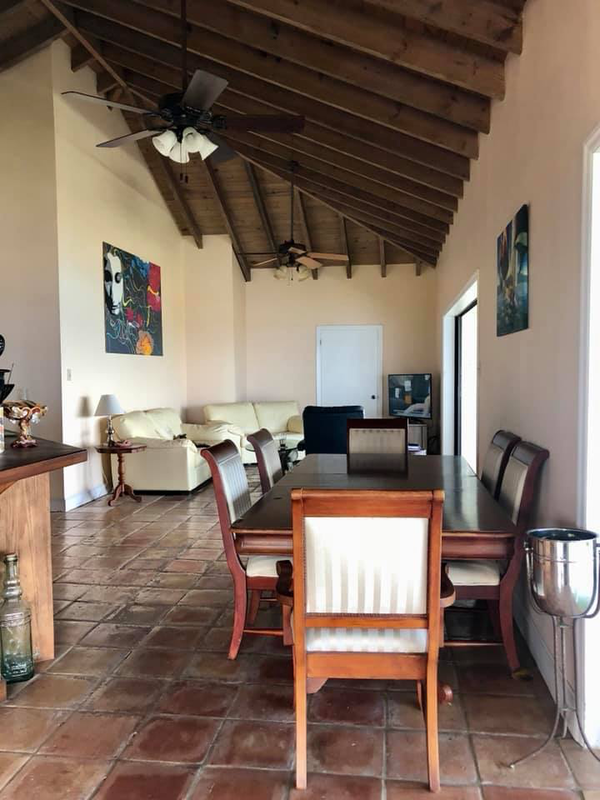 The first floor contains a separate kitchen and dining room which share the same breathtaking view and constant sea breeze with the top floor. Both floors have their own covered wrap around patio looking out to a bird eyes view of the West End and plenty of outside space for dining and entertaining. Sitting on 0.5acre of land, the premises offers covered garage parking and ample space to install a swimming pool if you want. 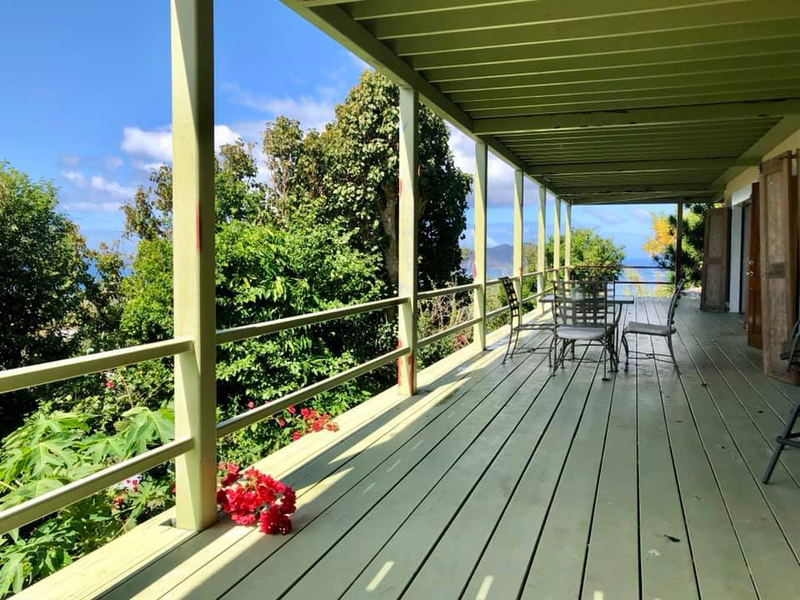 The property also comes with a separate building that has its own driveway with electricity and water connection, which can be easily converted into an additional guest cottage. This property which is valued around the $1million mark is now available for $795,000. It is a major discount on a property with minor damage! Owners are keen to sell ‘as is’. Don’t miss out! 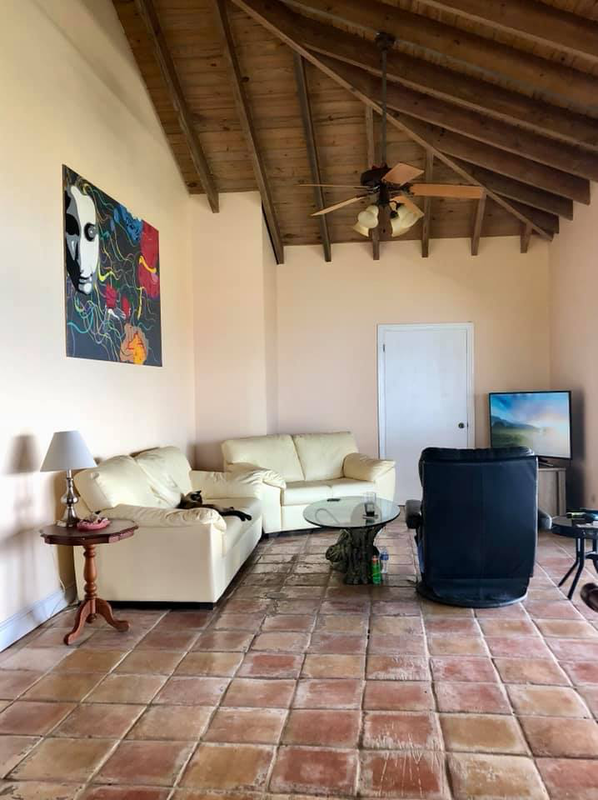 Minor cosmetic damage on the exterior paint and several sliding doors yet the structural and most interior sustained the hurricane in good order. More pictures on damage available upon request. 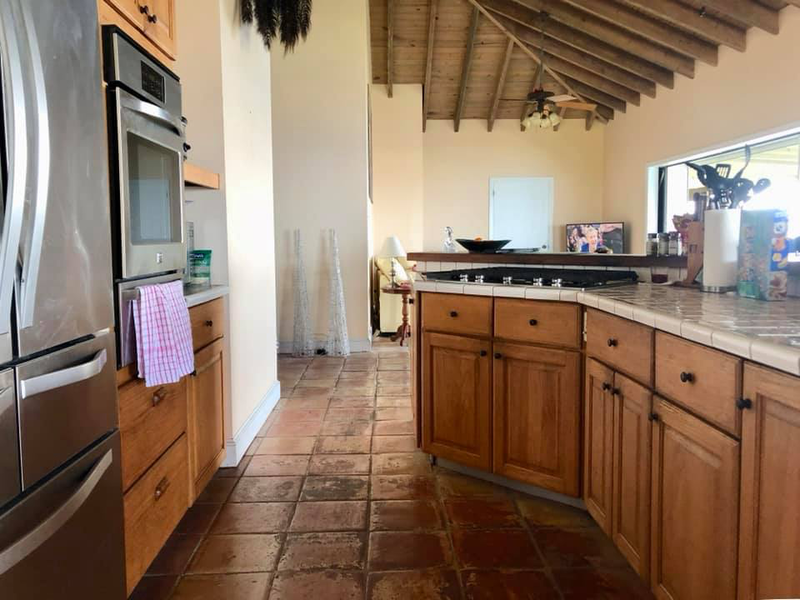 Call/ WhatsApp Cassie on +12843402446 or email cassiengai@remax.net to check this lovely home out!